Townhouse-style living with three bedrooms, a cute kitchen, living room, and spacious bath. Sounds like a great place … to tear down. Such is the nature of a growing campus. As Lafayette expands its student population from approximately 2,500 to 2,900 by fall 2025, one of the many areas of growth will be housing. While Watson Courts has served the College well, upper-class students will flock to the new mixed-use buildings on McCartney Street, leaving Watson Courts ready for an upgrade. How best to execute those updates became the task before three teams as part of the Real Estate Competition hosted by the Dyer Center for Innovation and Entrepreneurship and Gateway Career Center. 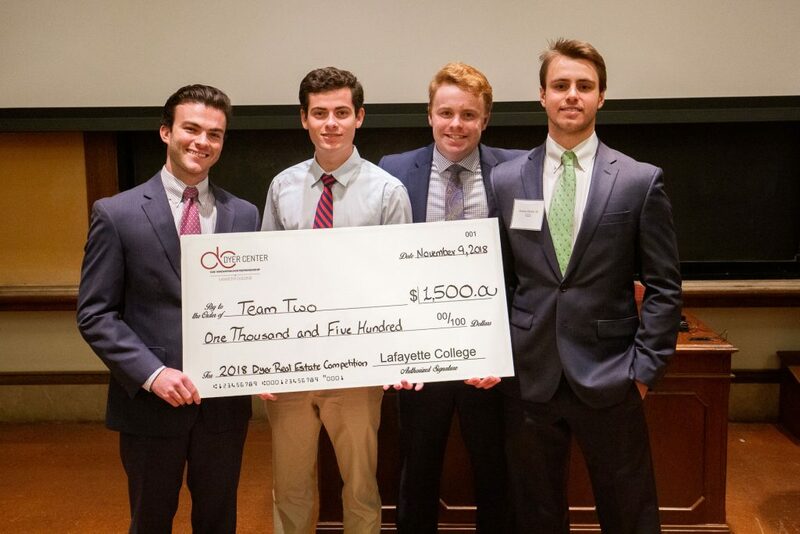 Those teams took shape from over 70 students who participated in a real estate boot camp. 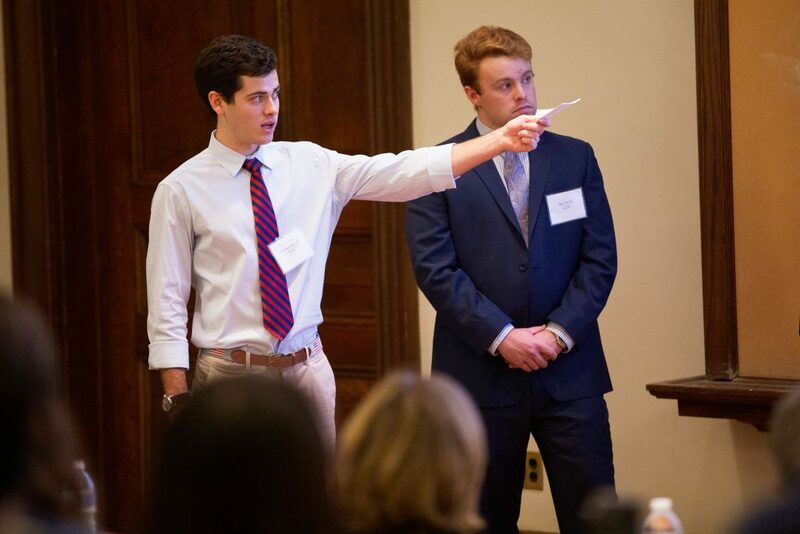 Over the course of a Saturday, boot-camp participants moved through a crash course in real estate, pro forma review, the role of student housing in campus life, developer and investor perspectives, and public-private partnerships. 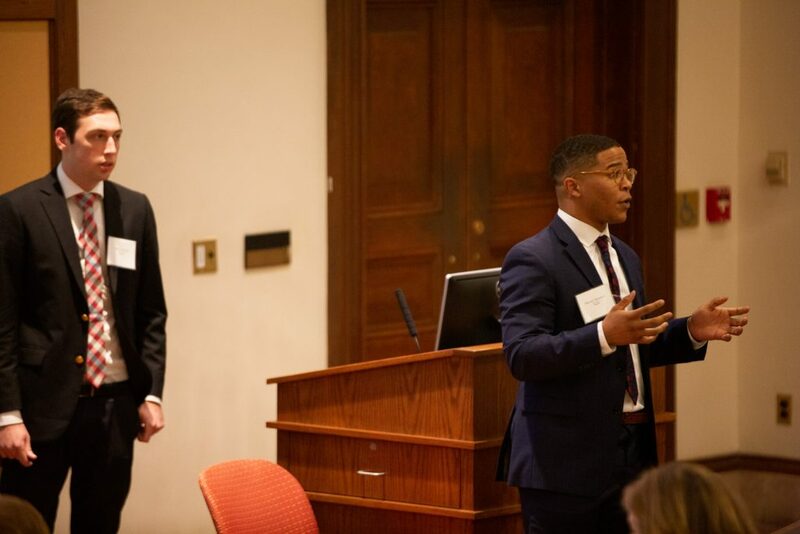 Guests included senior campus administrators and heavy hitters in the industry, including developers, architects, property group leaders, and more. “Many people have given of their time and talent for this program to become a reality,” says Mike Summers, AVP of Gateway Career Center. On a rainy Friday night, the warm glow in Kirby Hall of Civil Rights is tense. Students in suits are rehearsing and reviewing last-minute notes before the competition begins. Three groups will present their approach to the Watson Courts Case Study. 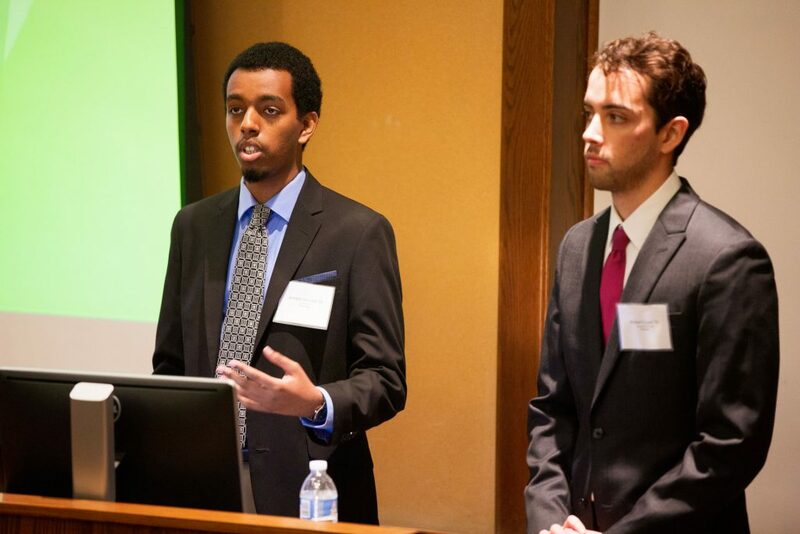 Since the boot camp, teams have worked with an industry mentor and developed a detailed presentation. The winner walks away with a $1,500 check. Team One consists of Andrew Vita ’20, Pascual Ventura Jr. ’20, and David Shub ’20. They, like all the teams, outline the College’s growth plan and challenges it creates in terms of funding, timeline, and space constraints. The first team discusses all development options: a public-private partnership (P3) where the College leases the land to a private developer; a self-funded project where the College assumes full control and risk; and finally a College/developer partnership where risks are shared. Then they reveal their recommendation, but time expires before all their conclusions are clear. 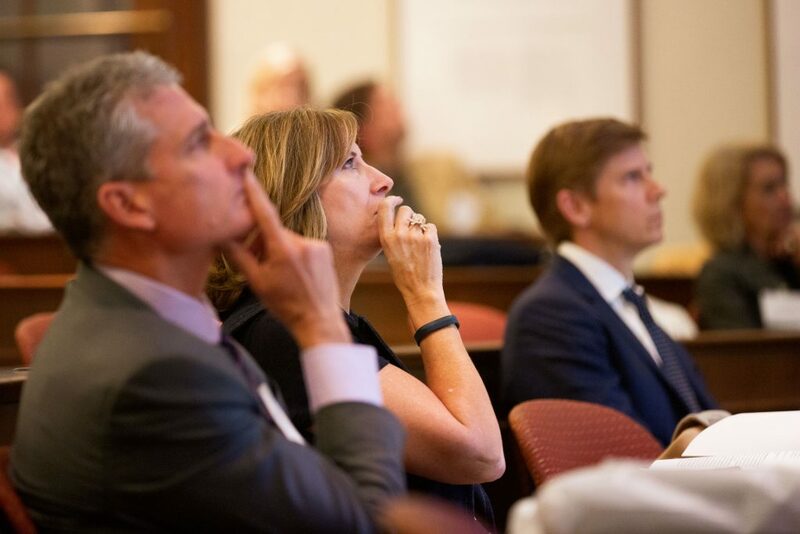 Next, judges enter the fray: Cia Buckley Marakovits ’88, chief investment officer at Dune Real Estate Partners, Gerry Hedgcock, director at Crow Holdings, and J.B. Reilly ’83, president of City Center Investment Corporation. Bam! They pepper the first team with questions on costs and fees, pointing out areas that don’t add up. Soon Team Two is on the floor, made up of Tim McCarthy ’20, Andrew Westby ’20, Ben Perrine ’20, and Mackenzie Erb ’20. Unlike the first team, this group moves through an inductive reasoning approach, building to its conclusion and eliminating development options along the way. The students bring in other successful development projects managed by the College and talk about how the Watson Court project is different. Their presentation uses logic and argument to make its case. The judges, while nit-picky, don’t pounce as fast. Finally, Team Three takes the podium. Dave Perron ’19, Joseph Seyoum ’20, and Robert Cuyjet ’19 go out on a limb. While the first two teams have come to the same conclusion, Team Three takes a different approach—naming P3 as the best option and only talking about it. The students present their rationale, but the judges don’t seem to buy it and dive into questions. Having “sweated their suits off” as Dahl put it, the teams relax as the judges step outside the room to make a decision. All three teams have stood before senior-level executives and faced hard questions on a challenging case. Provost Abu Rizvi steps forward to commend their hard work and thank the partners. “What you saw today is the kind of analysis necessary for success in the world,” he says. But success is a fickle friend. Not all teams, while commendable, can be named the winner. Reilly leads the judges in their announcement. He proceeds to outline the strengths in each. The other judges chime in as well. Buckley Marakovits especially encourages the College to get more women involved in real estate. Their solid planning may impact the Watson Court project. 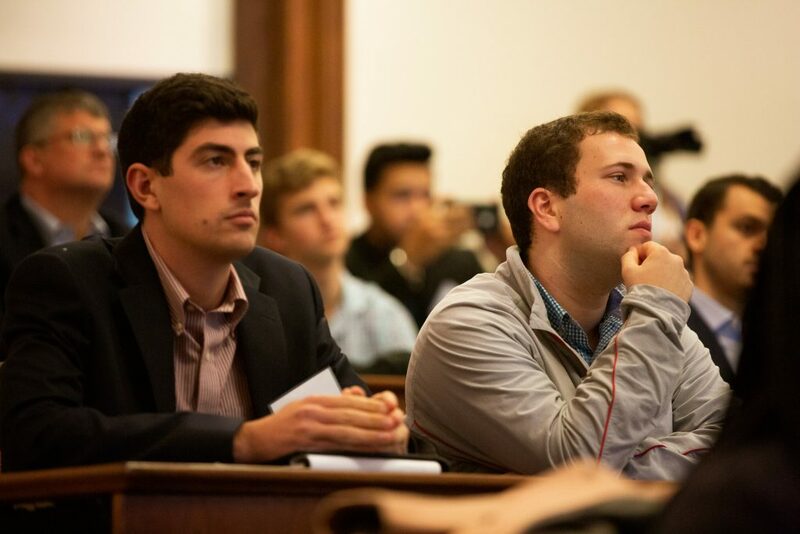 But no matter if it is a flip or flop, all students walked away with key developer basics: how to combine economics, finance, empathy, engineering, strategy, and influence in order to win a deal.